Acknowledging that life is all too brief, I am not in the habit of reading more than one account of the life of an individual, regardless of the significance of his/her contributions to society. The single exception to my established practice is the life of Hector Berlioz. I am finding it fascinating to retrace the path of events in Berlioz’s life as presented in various ways by a number of voices, including Berlioz himself. (My fascination has let me twice through the Memoirs, then Cairns’s Berlioz, Vols. 1 and 2 (1989 and 1999), the Selected Letters, the New Letters, Berlioz Remembered, now Barzun’s Berlioz and the Romantic Century, Vols. 1 and 2, written in 1954 and revised in 1969) Each experience brings new insight and additional information. In pursuing my reading, I am developing an in-depth knowledge, much as a long-time friend might have. I look forward to reading Berlioz incidents presented in a fresh voice or re-told from a different perspective. And I prize the analyses offered by the authors. My amateur’s observations on the differences between the two epic biographies may be of interest. 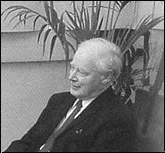 Although it is obvious from the density of information in his books that Cairns had the advantage when it came to research time and availability of sources (with special thanks to the Internet and other conveniences of communication), Barzun wrote the landmark biography. His prose is self confident and eloquent. His ability to surround his subject with events and movements of the times, his general knowledge of the history of Europe at the time, is remarkable. Barzun goes into much greater detail in his analysis of each work. His admiration for the music is obvious in the way his prose glows with eloquence. He does not stint on sharing his opinion, whether positive or negative, of a work. ("Rouget de Lisle’s Marseillaise. . . the work of a very ordinary mind, raised by emotion and drink to an unusual pitch of excitement") – Barzun certainly knows how to target people! I had to laugh, too, at how testy he got over the negative attitude toward his subject of Boschot, his predecessor in the Berlioz biography field. For example, in a footnote he writes, "M. Boschot, who on principle always believes the opposite of what Berlioz says, doubts that the March was written so quickly." David Cairns’ biography is a masterpiece of in-depth focus and knowledge. He succeeds in creating a full portrait of the person: his nature, his genius, his huge array of gifts, his personality – including his great wit and his joy in making puns, and his prodigious output (composing music; writing articles, libretti, books, and letters; arranging for and conducting at concerts; proof reading; acting as musical consultant and judge; travelling; developing relationships both professional and personal; etc.). Considering that Berlioz seems to have counterbalanced his activities with a proportionate number of days spent ill in bed, it is amazing indeed what he compressed into a comparatively brief life of sixty-five years. Cairns’ work strikes me as totally professional, exhaustive. He relies on primary sources when drawing conclusions. Unlike Barzun, he keeps his own personality in the background. Nevertheless, I could sense Cairns’ veneration for his subject. He could scarcely have written this inspired life without it. Cairns’ biography is the complete portrait of the man with insightful analyses of his music; Barzun’s shows Berlioz in the context of nineteenth century Europe and also provides elucidation of the innovations in his music. The approaches of the two master biographers complement one another. Both yield great enjoyment for the Berlioz lover. We are most grateful to our friend Mary Weber for her contribution to this site. The Hector Berlioz Website was created by Monir Tayeb and Michel Austin on 18 July 1997; this page created on 20 November 2004.